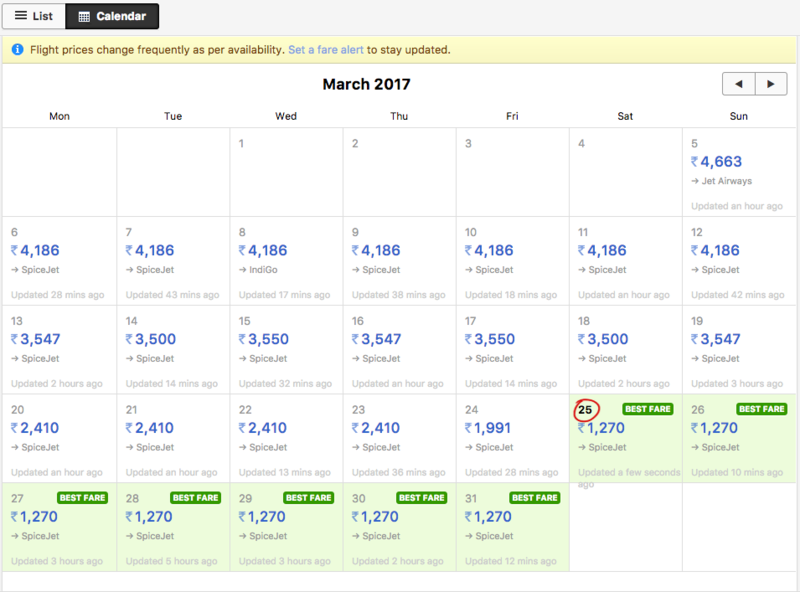 Once you have decided on a destination, booking a flight or a hotel has always been a simple affair on Cleartrip. We even revamped fare alerts to help you figure out the best time to book the flight ticket. But finding a holiday destination that fits our limited budget on a convenient date remained a challenge, until now that is. Introducing Top-Deals, a simple tool to help you find best travel destinations that fit your budget. 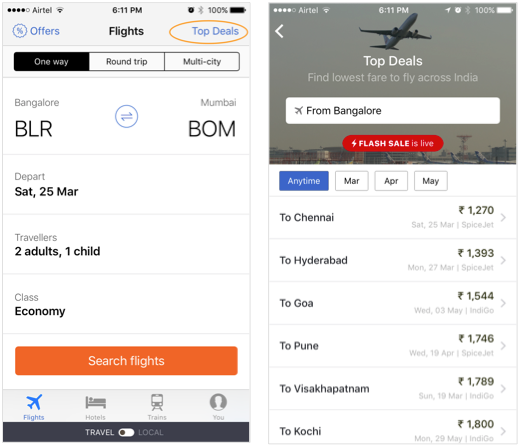 True to Cleartrip product ethos, it’s so simple that you won’t break a sweat using it. As soon as you visit the page, it automagically detects your city and shows the cheapest destinations you could fly to within the next 3 months. Simply click on a destination to see the fare calendar, then choose the cheapest date that is also convenient to you. 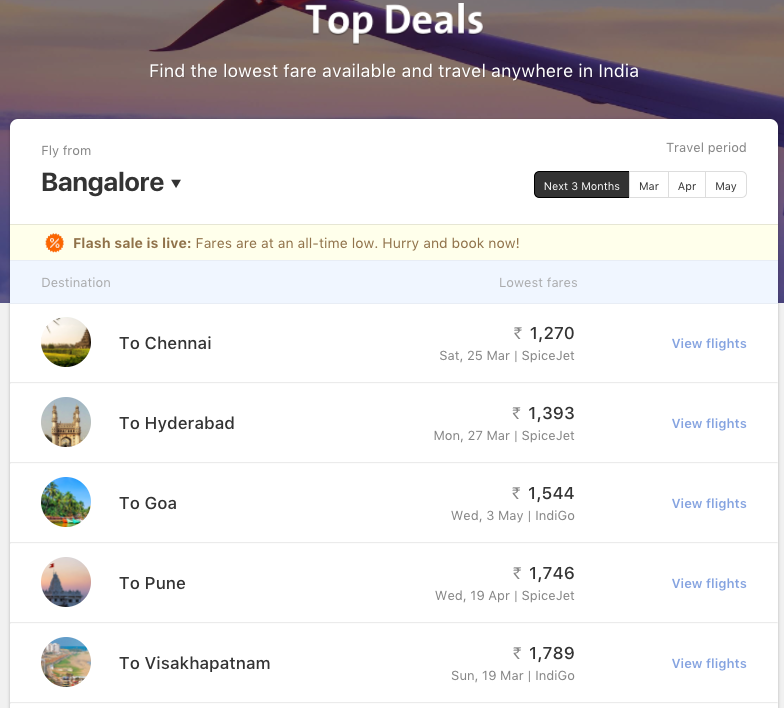 If you would like to explore fares to another destination, simply head back to the top deals page. Doing the same on the Cleartrip iOS and Android Apps couldn’t have been any easier. So go ahead and explore new destinations you always dreamt of and also save money. We have launched Top Deals with a limited set of 30 destinations across India but we are constantly adding more. These destinations are limited to within India for now but stay tuned for international ones. 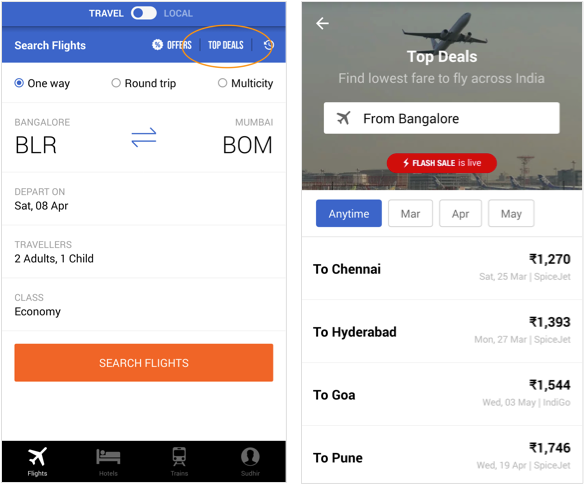 Pro Tip: Next time you receive a airline flash sale notification from Cleartrip or an airline directly, head straight to Cleartrip Top Deals to discover the cheapest destinations from your city. You could save a ton by just visiting Top Deals before starting your research anywhere on the Internet.